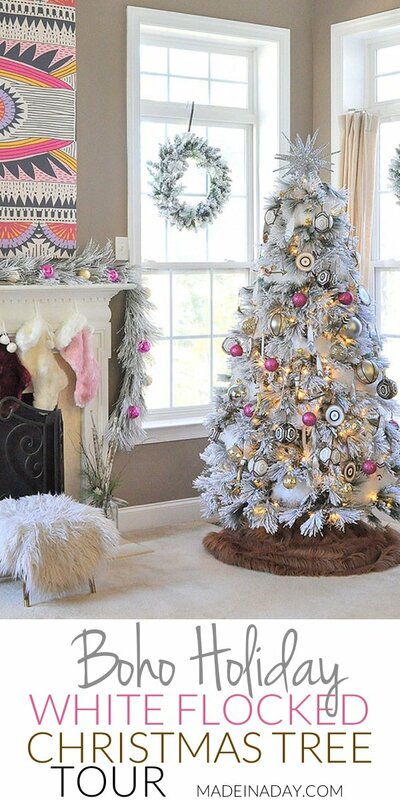 You are here: Home / Holidays / Christmas / It’s a White, Pink, Black and Brown Boho Flocked Christmas Tree this year! 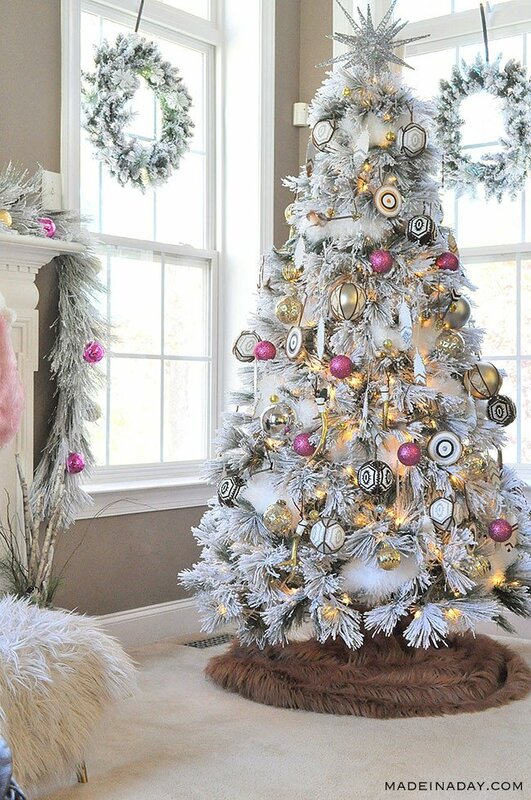 It’s a White, Pink, Black and Brown Boho Flocked Christmas Tree this year! 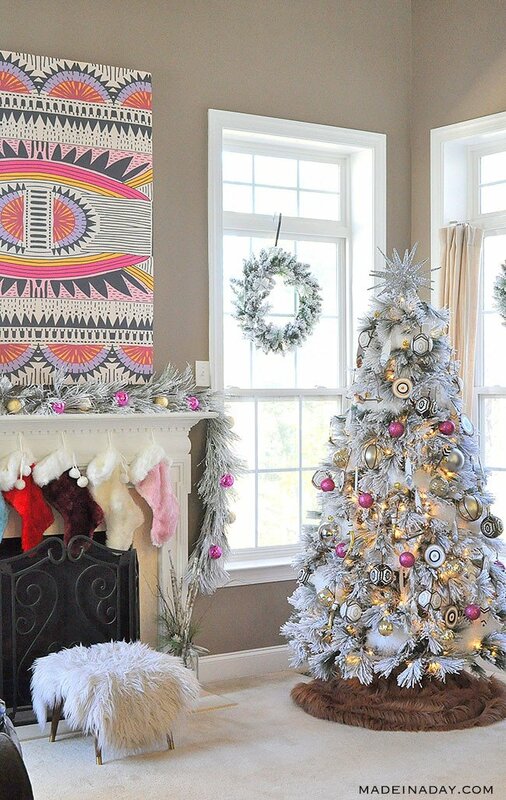 I finally got my White Boho Christmas tree all put together! All the boho vibe ornaments I’ve been making just look amazing. 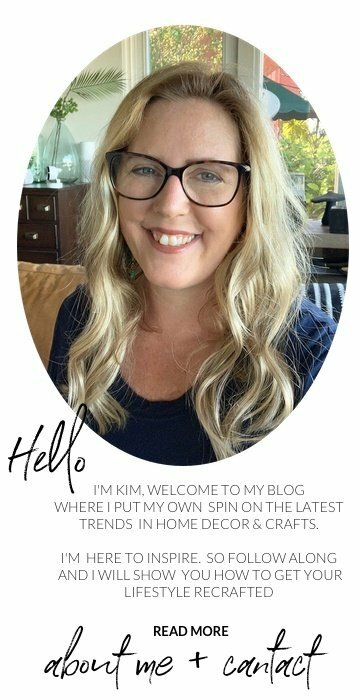 There is also a Tree Decor Blog Hop going on. 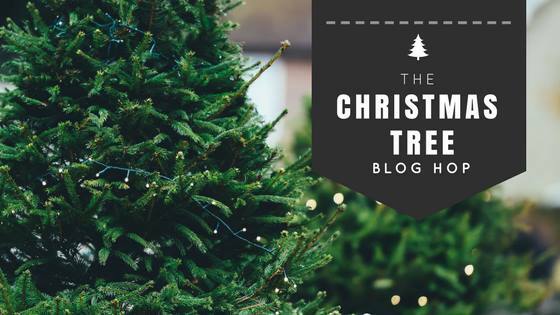 Scroll down to get a peek into 53 talented bloggers homes to see what their trees look like this year! This year I decided to make new ornaments for my tree. I changed my home decor to a more modern bohemian feel this year. So this holiday season I wanted to go a little less traditional with my Christmas decorations and match my new global bohemian look. I made dozens of five different ornaments. First up was some Leather Feather Ornaments and some cute Frosted Glitter Bullseye Ornaments to go with them. Then I made some Boho Suede Ball Ornaments. I came up with a much easier way to add fabric to large premade ornaments. They came out really pretty and the color/ fabric combinations are endless. Next up will be some Glittered Wooden Feathers and White Glittered Antler Ornaments. 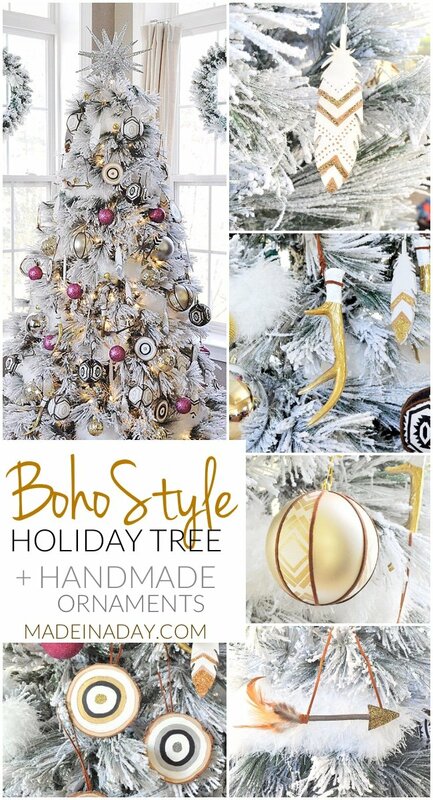 I used all of these ornaments on my tree along with gold, hot pink ball ornaments and some fun with some fun tribal black and white ornaments from Target! The tree skirt is Long Pile Mongolian Fur in the color Camel. 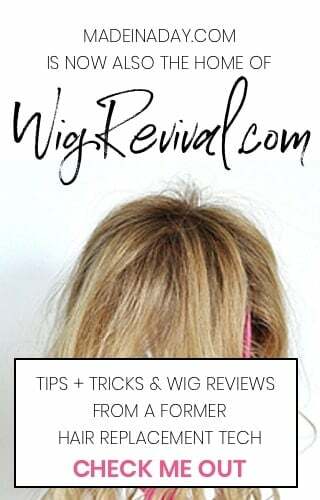 Check out how it all came together! 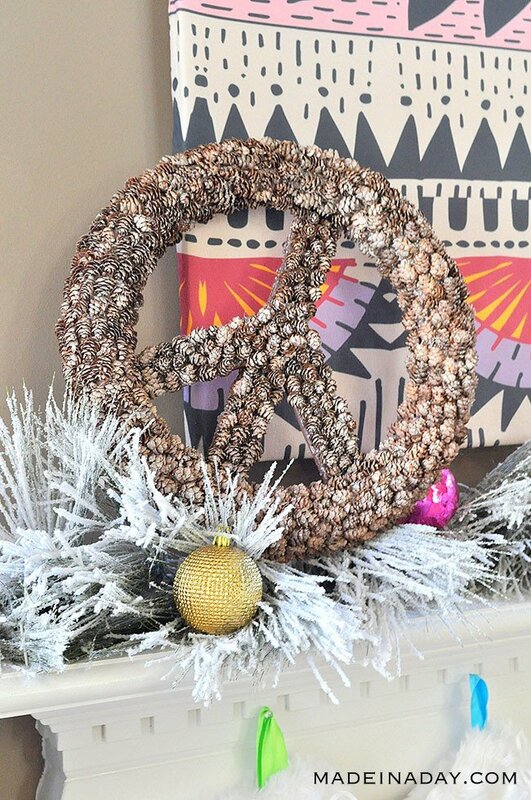 Want to make this Pinecone Wreath? 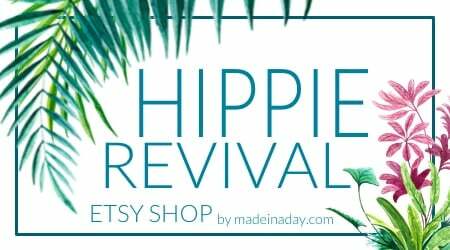 See how on my Pinecone Peace Sign Wreath post. This silly girl just would not stay out of my pics! She is pretty darn cute though. Now for more Christmas Tree Fun! 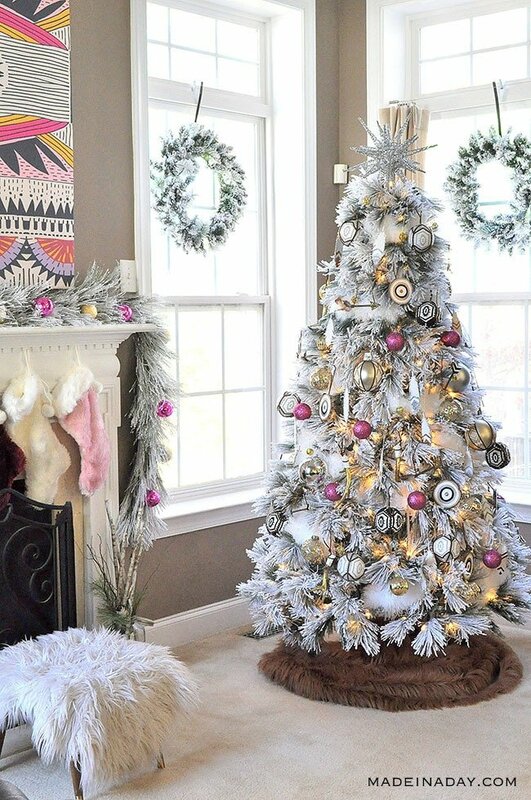 We have 53 talented bloggers joining up to share their decorated Christmas Trees with you! 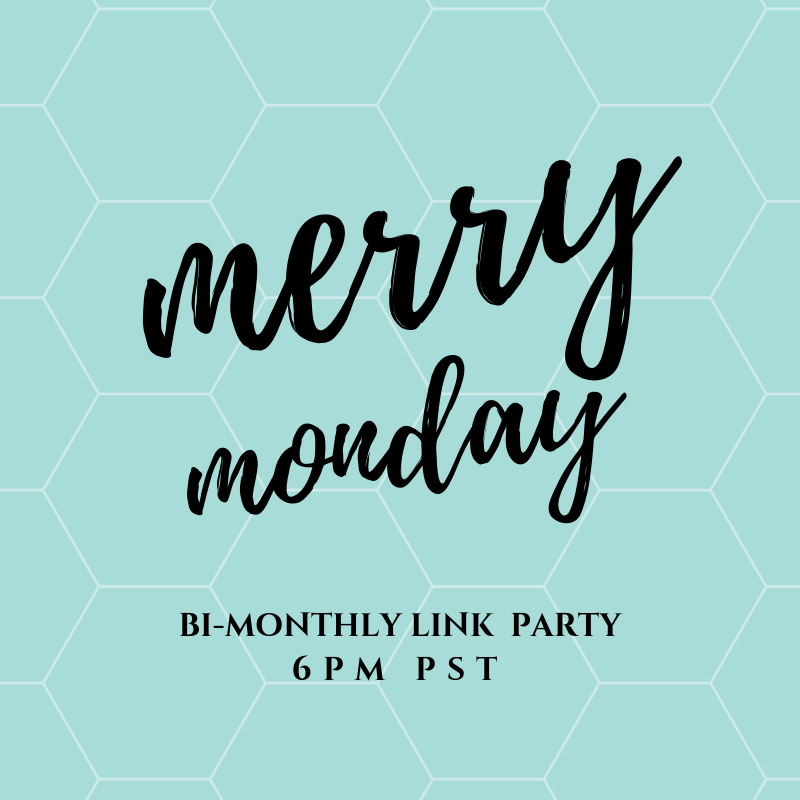 So grab a cup of your favorite beverage, settle in and get comfortable because you are going to love the beautiful Christmas Tree Decor shared today! 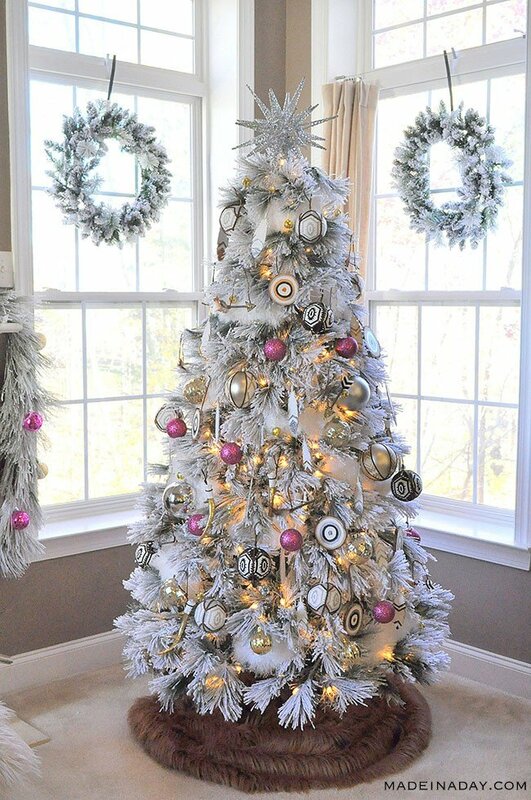 Your flocked tree is so nice – I love all the custom ornaments too! The pink ornaments on your tree really make it pop! Beautiful job and it sounds like you were very busy making all those ornaments. The dog is adorable too. Visiting from the blog hop. Your tree is just beautiful! Love all of your decorations and love the black, white and pink together! 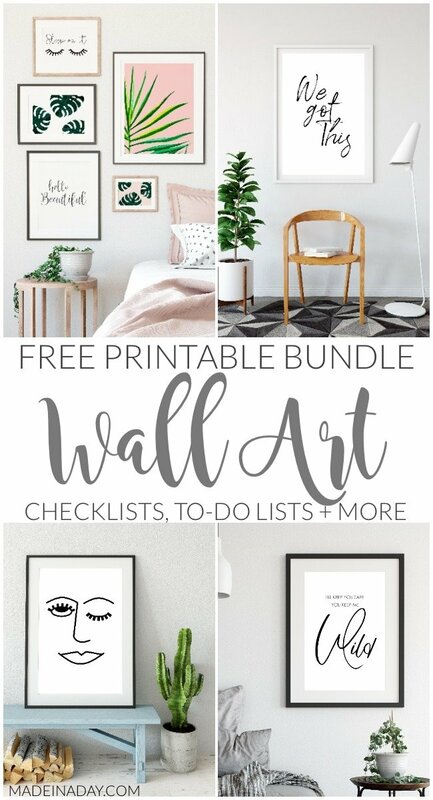 Your room and your tree are beautiful and super creative! Love it! Your tree is so pretty! I love the pink! Your dog is a cutie! It’s so beautiful, original and unique! Fabulous job! I love it! Wow this tree is so pretty! Thanks for sharing! What a beautiful one of a kind tree. You did a fantastic job of decorating it. I love your theme, its fresh and retro and new all at the same time. I love your tree and all the beautiful ornaments. I also love your tree skirt but you didn’t mention it in your descriptions. Thanks so much! I completely forgot to talk about it, I will add it to the post. It’s a yard of brown long pile fur. I add an Amazon link if you want to find it. Oh Kim! Your Christmas tree is pure perfection! Every colorful detail is fabulous. 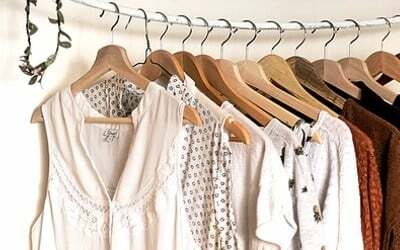 You have such an eye for style and taste. And of course, all if your handmade ornaments are lovely. SO happy see visit your blog and be inspired. Oh my golly wow! That is a stunning tree! I need to make sure to take note so mine could look this amazing next year! Oh my goodness, Kim- your tree is STUNNING!! 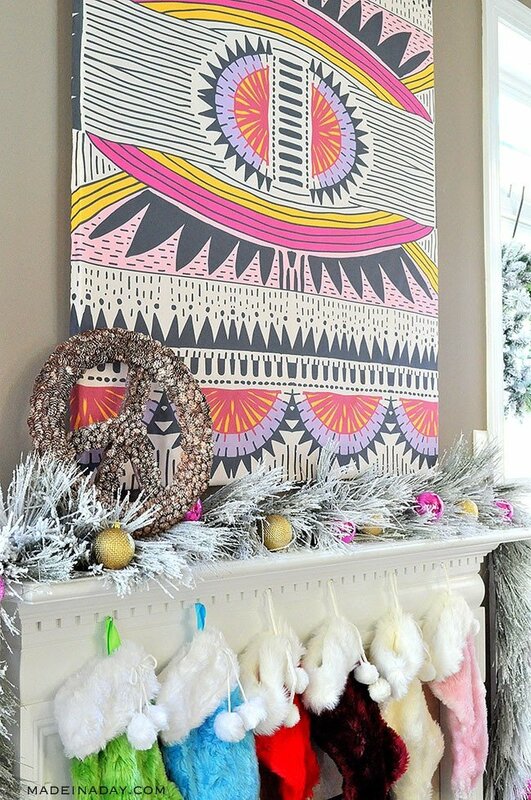 I love all the DIY ornaments and bright colors! Hi Kim…your tree is gorgeous! I love all of the DIY boho ornaments, and the pops of pink are perfect. Love it! That is one stunning tree. Love the pink, the fuzzy, and the cute fur baby too! 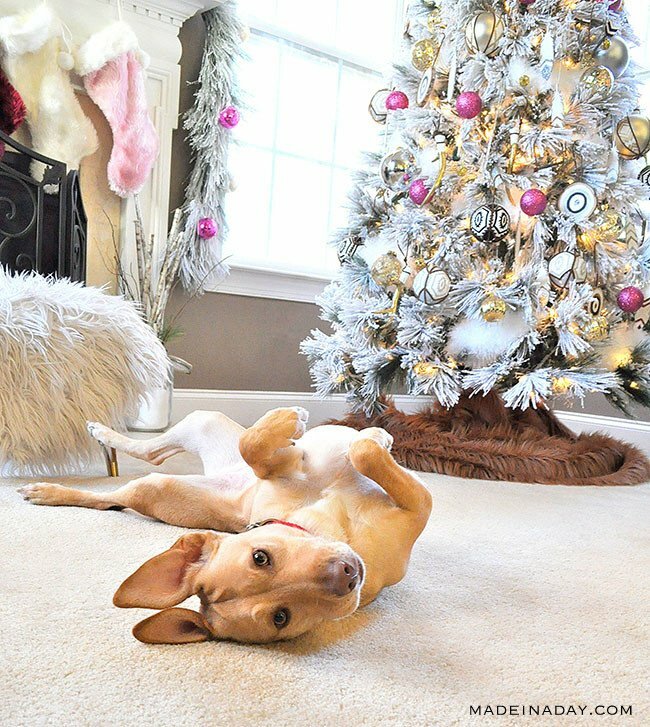 I love the shot of your dog in front of the tree! That decor looks so chic and full of interesting texture, I am really impressed by what you did! Thanks so much Melissa, I just got through re-editing the images.I was shocked this morning with the quality. My dog is such a model! She’s a ham!